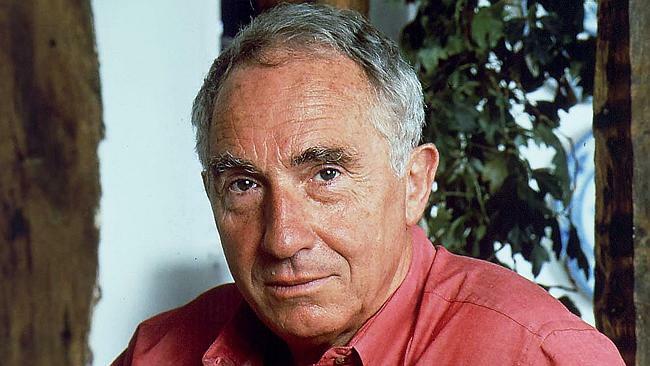 Nigel Hawthorne is an actor whom I always adored as the sharp minded, yet petulant & slippery Permanent Secretary Sir Humphrey Appleby in the Yes Minister/Prime Minister series. Very sadly, he died on Boxing Day 2001 at the age of 72. He had just completed his exceptional autobiography about a life which had by no means taken a straight path. His ambitions to be an actor when a young man in South Africa were strongly discouraged by his father. He came to England alone and struggled for many years to make his name – eventually joining the Royal Court, starring in the West End, and finally having his great TV break in Yes, Minister. 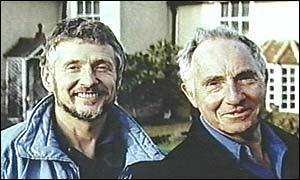 He also struggled with his sexuality and it was not until meeting production manager Trevor Bentham in l977 that he finally found his life partner. A naturally private man, his media ‘outing’ in the run-up to the Oscar Ceremony for The Madness of King George was the source of much pain, although ultimately it became a liberation. At the peak of his career he was struck by cancer and his battle with illness forms a moving final section of the book. Speaking of his death, his partner Trevor Bentham, still in the raw grip of mourning for the actor said ”The cancer that had plagued his pancreas for 18 months had recently moved to his lungs and finished the job quickly and with the greatest dignity,” Bentham recalls. ”No trace of pain, a quiet end in a shaft of winter sunlight.” At 9.30 on that Boxing Day morning Hawthorne had collapsed in a chair and ”simply ceased to live”. 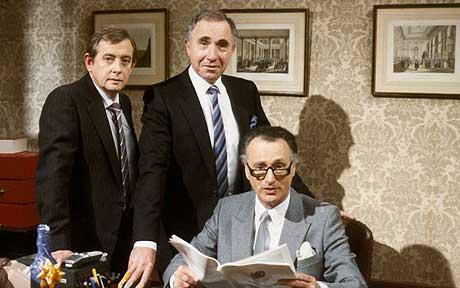 “Party Games” is the twenty-second and final episode of the BBC comedy series Yes Minister. A one-hour Christmas special that was first broadcast 17 December 1984, its events lead into the sequel, Yes, Prime Minister. The episode was shown again at Christmas 1990, shortly after the fall of Margaret Thatcher. Hacker’s denials of interest in the party leadership were similar to those made by Michael Heseltine some six years later.